Web ergonomy, usability, accessibility for Internet, Intranet, E-commerce, Apps and software. Usability is the ease of use and learnability of a human-made object (source Wikipedia). UX design can be applied to any object of use such as a software application, website, book, tool, machine, process, or anything a human interacts with. At le nomade.com we target web sites, web apps, tablet or mobile apps. UX research can be done as a study and conducted as a primary step to create a new web site or an existing one. Our goal in UX concept is to make websites easier for the end user, without the need to follow a dedicated learning. Users must be able to reconcile intuitively between actions that must be performed on the Web page, and other interactions he sees in his life (for example, press a button causes an action). We have a strong expertise among banks and educational companies. 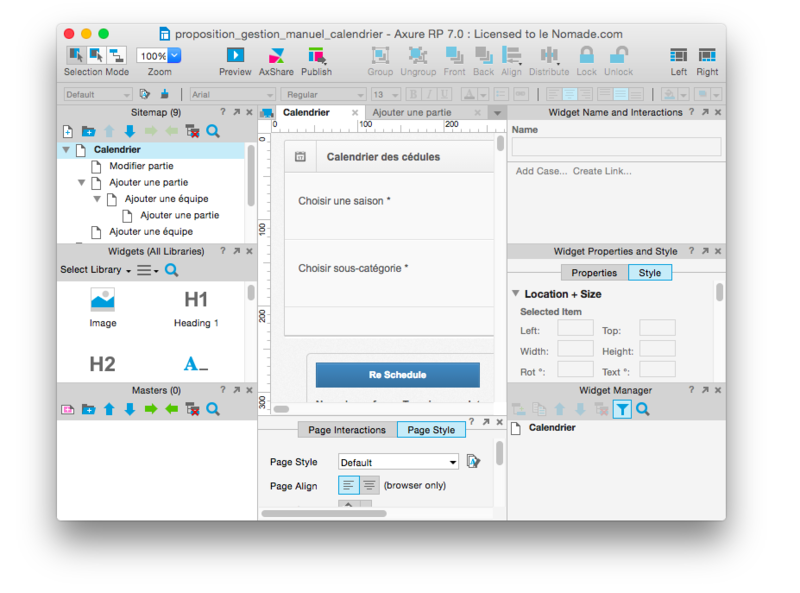 Software for rapid prototyping : Axure. Intranet tool created to manage complaints from clients. Prototype was produced to accelerate the programming team with a agile process. This web site was the fusion between two different guidelines. Php programming was used to create a high fidelity prototype with different data input. A Framework has been created in PHP to get a better prototyping system. With this framework, low and high fidelity prototypes could be on the same platform. A single prototype could show you all the previous deliveries in production. Finally, this system gave the possibility to create static html web page using the HTTrack. Set-up of an iPad reading application and its improvement on writing tools. Usability testing on iPad and UX design for the very first projects on white board courses. Architecture, UX design and implementation of a new web Platform with ebook reading capabilitites.